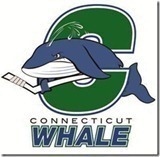 If there’s one thing about this particular Connecticut Whale team it’s that they can lull you to sleep and then suddenly snap out of it and look like world beaters. Friday night they never woke up dropping a 3-2 decision to the Portland Pirates. That comatose-like effort carried through the first two periods Sunday afternoon, but when they finally did awaken, they scored three unanswered goals in a mere 3:37 at the Verizon Wireless Arena and then held on for a 3-2 behind some spectacular goal tending from Chad Johnson over the Manchester Monarchs. 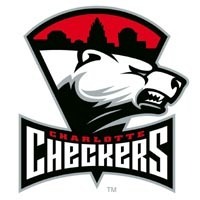 CHARLOTTE, N.C. – After squandering a 5-2 lead in the third period, Drayson Bowman, Jon Matsumoto and Chris Terry scored shootout goals to lift the Charlotte Checkers to a 6-5 win over the Manchester Monarchs in front of more than 10,000 fans on Friday evening. After their team surrendered a four-goal lead Tuesday night, Connecticut Whale coach Ken Gernander and his assistants figured a 9 a.m. practice Wednesday, only eight hours after the team arrived home from New Hampshire, might not be “very fruitful” before the Christmas break. The Connecticut Whale did their best impression of illusionist Criss Angel Tuesday night when they made a 4-0 lead and two standings points disappear in a span of just 12:04 and like the Long Island magician they made it look effortless. Wise veteran defenseman Wade Redden put the Wolf Pack’s plight of one-goal losses this season into perfect perspective. “We have to find a way to win these games,” Redden said after a 4-3 loss to the Manchester Monarchs on Wednesday. The latest defeat was the ninth by a goal for the Wolf Pack (4-10-2-2), with a 10th coming by two goals with an empty-netter against. It also extended their slide to franchise-worst 1-9-2-1 and kept them tied for last place in the Atlantic Division with the Bridgeport Sound Tigers (6-10-0-0), who have two games in hand. Where’s Brad “Shooter” Smyth when you need him? Unfortunately for the Wolf Pack, their career leader in goals (184) and points (365) is playing for Belfast Giants in the Elite Ice Hockey League, a 10-team league in Northern Ireland, Scotland, Wales and England. The Wolf Pack has seemed to find every way possible to lose, and it was the special teams on Wednesday. The power play was 1-for-5 and generated most of the team’s 24 shots and quality chances but failed on a 5-on-3 for 94 seconds, though Redden hit the post. And the penalty kill allowed the Monarchs, ranked 21st on the power play, to score a season-high three power-play goals in six tries. Then there was what Monarchs observers called the team’s save of the season with 40.2 seconds left when Jeff Zatkoff dove across the crease to somehow stop Mats Zuccarello’s one-timer from the right circle off a perfect cross-slot pass by Jeremy Williams from the top of the left circle. Zatnoff (22 saves) almost seemed apologetic for his game-saving stop. Williams had his team-leading ninth and 10th goals but also took a hooking penalty that led to Justin Azevedo’s winning goal. Williams said the Wolf Pack’s slump has to end quickly or they’re going to miss the playoffs for the second consecutive season after 12 straight trips to the postseason. The quest begins Friday night at 7:30 at Springfield in the second of five consecutive road games before the Wolf Pack are re-branded as the Connecticut Whale for a game at the XL Center against the Sound Tigers on Nov. 27. John Paddock, who led the Wolf Pack to their only Calder Cup title in 2000 and was named interim coach of the Adirondack Phantoms on Nov. 8, will be at the XL Center the next night. “We’ve got guys who have been on different teams in different situations, and everybody hates losing,” Williams said. “Then you look back in February, and it’s like, ‘Oh (shoot).’ I know guys are trying, but it’s like you talk so much that you don’t even know what to say any more. Not in a negative way, just in a mindset where you just have to stop thinking about everything and just go do your job. Being 30th and last in the AHL with a 2.06 goals average also gives the Wolf Pack virtually no margin for error and puts added pressure on the defense and goalies Chad Johnson and Cameron Talbot to pitch close to a shutout every game. The defense and goaltending have generally held up their end, but the Wolf Pack/Whale has to find ways to start winning games. They will have another different look Friday night as right wing Dale Weise returns to the lineup, left wing/center Brodie Dupont is out and rugged left wing Justin Soryal is questionable. Weise has been sidelined since the third game of the season Oct. 15 because of an ailing hand that required surgery. He received clearance to play Wednesday but decided it was better to remain a commentator with radio announcer Bob Crawford for one more game. But Weise is delighted to be trading in his headset for a stick, skates and uniform. Coach Ken Gernander plugged Weise into Dupont’s spot alongside Tim Kennedy and Mats Zuccarello, who moved with right wing to left wing. Dupont is out 7-to-10 days after needing 16 stitches to close a cut above his left knee sustained when the skate of a Manchester player sliced him late in Wednesday’s game. “I’ve been waiting a month to talk hockey,” said Weise, who had one goal and one assist in three games in which he played through pain in his hand before deciding to have surgery. “I feel real good after things progressed really well the last week or so. I didn’t feel comfortable to play Wednesday, but it’s good now. And condition-wise, I’m probably in better shape than I was at the beginning of the year. I’ve been ‘bag skating’ for about three weeks, and you can’t get that kind of conditioning in practice every day. Weise thinks it might take a period to get back his rhythm in a game, but he’s especially enthused about returning from the longest absence of his career. And his season is resuming on what has to be considered the No. 1 line for the Wolf Pack, who desperately needs to improve their 2.06-goal average, last in the AHL. “It has been awful, awful watching all these one-goal losses,” said Weise, who had career highs in goals (28), assists (22) and points (50) last season. “Obviously it’s frustrating to watch the boys go through something like that, and you really don’t feel part of it. You’re skating on your own after practice, and you’re not in the room during games. It’s a tough time to be around, but that’s my teammates. They’re like my brothers, and I want to be a part of it whether we’re winning or losing, and hopefully I can help us get out of this hole. Gernander hopes anyone steps up to end the worst stretch that he has been involved with in his 14 seasons with the Wolf Pack, who are six games under .500 for the first time. Dupont struggled offensively at the start, getting only one assist in the first 12 games, but he had one goal and two assists in six games before being injured. Dupont had mixed feelings about the freak injury, which at first appeared to be a knee injury because he couldn’t put any weight on his leg. Soryal sat out Wednesday’s game after getting hit in the face with a deflected puck in practice Monday, but he’s expected to return Friday night, Saturday night in Binghamton or Sunday afternoon in Hershey. He wore a cage in practice Thursday, as he did last season after having a bone broken in his face during a fight with Jessie Boulerice. Gernander said trainer Damien Hess would evaluate Soryal on Thursday and Friday and see when he has clearance to play. After fellow Czechs Tomas Kundratek of the Wolf Pack and Tomas Kana of the Falcons fought in the teams’ last meeting Saturday night at the XL Center, it will be interesting to see what transpires Friday night at the MassMutual Center. Kolarik, acquired two days earlier for former captain Dane Byers, scored a goal in his Wolf Pack debut and scored a unanimous decision over Kana, who sustained a dislocated thumb in the fight. But Byers set up Mike Blunden’s tying goal with 4:35 left in regulation and scored in the fourth round of a shootout to give the Falcons (8-6-0-1) a 4-3 victory and drop the Wolf Pack to 0-1-1-1 against their I-91 rival. The Wolf Pack lost the only game against the Falcons this season at the MassMutual Center by – you guessed it – one goal, 3-2 on Oct. 30. … Smyth has five goals and six assists in 11 games with Belfast and his teammates include former Wolf Pack forward Mike Hoffman (six goals, 10 assists in 18 games) and Mike Bayrack (seven goals, 12 assists in 20 games), who also played six games with the Sound Tigers and one season with the Danbury Trashers and Sound Tiger Jon Gleed. Former Wolf Pack captain Craig Weller plays in the EIHL with the Cardiff Devils and has two assists in a two games. … The Wolf Pack could also use some of the production of AHL leading scorer Corey Locke, whom the Rangers didn’t re-sign after he led the Wolf Pack in goals (31), assists (54) and points (85) last season, earning him a spot on the All-AHL second team. Locke had a goal and two assists and Barry Brust rebounded with a 33-save shutout as the Binghamton Senators won 4-0 at Syracuse on Wednesday night. The Senators ended a two-game losing streak during which Brust allowed 12 goals on 62 shots. Locke extended his scoring streak to 11 games (six goals, 14 assists) with his third game of at least three points this season. He leads the AHL in assists (19) and points (26) in 17 games. The Crunch suffered their second consecutive shutout and third in their last four games. … Former Wolf Pack defenseman Bobby Sanguinetti scored his first goal of the season and Drayson Bowman then got the winner as the Charlotte Checkers rallied for a 2-1 victory over visiting Adirondack on Wednesday night. … Former Wolf Pack wing Ryan Hollweg scored the game’s first goal and former Wolf Pack goalie Al Montoya made 34 saves to improve to 5-2-0 as the San Antonio Rampage beat Peoria 3-1 Wednesday night. The Rampage extended their winning streak to five games with their 12th win in 14 games, increasing their West Division lead to six points over Milwaukee and Oklahoma City. The Rangers broke out their new Heritage Jerseys that include hidden retired numbers on the inside in celebration of the franchise’s 85th anniversary season Wednesday night. But a similar malady to the Wolf Pack led to a 3-2 loss to the Boston Bruins, ending a three-game losing streak. While the Rangers were better on the penalty kill (3-for-3 to go to 23-for-24 for the last seven games with two shorthanded goals), they failed to convert on a 5-on-3 for 1:44. Brandon Dubinsky scored the Rangers’ first goal off an assist from another Wolf Pack forward, Ryan Callahan, and won 13 of 17 faceoffs. But during the lengthy two-man advantage, Bruins goalie Tim Thomas robbed Dubinsky and then extended his right leg to stop a jam attempt by Callahan, who was alone at the left post. The Bruins got two key pucks on net – by 18-year-old Tyler Seguin and 42-year-old Mark Recchi. Seguin, the second overall pick in June who was three years from being born when Recchi was drafted in 1988, scored his fourth goal after a pep talk with Thomas. Seguin pressured Rangers defenseman Matt Gilroy at the top of the Bruins zone and stripped him of the puck. Seguin raced down right wing and fired a laser over the glove of Henrik Lundqvist to give Bruins a 2-1 lead. Seguin said everything happened so fast he couldn’t remember details of the goal. “I just remember going wide and putting it over his glove,” Seguin said. Recchi’s 566th goal at 1:10 of the third period was the winner but hardly the most artistic in his 21-year pro career. The NHL’s oldest player had the puck near the right circle and wasn’t in a dangerous shooting position. But he flipped the puck on net and it squeezed between the left arm and body of Lundqvist before stopping a few inches over the goal line. The Rangers are 0-for-4 over 4:31 of 5-on-3 play this season. But it wasn’t a poor effort by the Rangers, who held the Bruins to 20 shots. But lapses against quality teams like the Bruins have proven the undoing of the Rangers, who begin a two-game trip on Friday night at the Colorado Avalanche. The Avalanche is the first of five games in seven nights and nine in 14, but the Rangers brought only six defensemen to Colorado and Minnesota for a game Saturday night rather than promote one from the Wolf Pack as a standby. Meanwhile, the Rangers hope for a continuation of Wednesday night – except for the final score. Speaking of sounding familiar, nothing changed for the New York Islanders on Wednesday night as a 4-2 loss to the Tampa Bay Lightning before a half-empty Nassau Coliseum crowd of 8,025. It extended the Islanders’ winless streak to 0-10-1-0 and ruined the NHL coaching debut of Jack Capuano, elevated from the Sound Tigers on Monday after Scott Gordon was relieved of his duties and became an advisor to general manager Garth Snow. The Islanders haven’t won since beating the Lightning on Oct. 21, the end of a 4-1-2 start that seems impossible now. It’s the first time the Islanders’ futility has reached such length since Mike Milbury’s final 11 games behind the bench in the 1998-99 seasons. It has always seemed a bit ironic that Milbury is now so critical of so many as an analyst when he was such as disaster as a coach and general manager. Capuano, 44, was in his fourth season as Sound Tigers coach and was replaced by assistant Jack Bingham, who was an assistant under former Yale coach Dave Baseggio in 2005-06 and Capuano from 2007 to the present. Capuano, a native of Cranston, R.I., had a 133-108-14 record with the Sound Tigers after joining the organization in 2005-06 as an assistant with the Islanders and then taking over in Bridgeport in 2007-08. When the Wolf Pack returns from a 12-day, five-game road trip, longest of the season, they will be re-branded as the Connecticut Whale for the final 29 home games of the season. Ticket season packages for the Whale segment of the season are available from $638 ($242 savings) for blue seats in XL Center to $290 ($110 savings) for kids (any seat except blue) and yellow. The offer includes the 29 regular-season games, one voucher for Whalers Hockey Fest 2011 at Rentschler Field in East Hartford on Feb. 10-23 and 20 vouchers for games at the XL Center. For more information, call 860-728-3366 or visit www.ctwhale.com. “One night we maybe play 52 (of 60) minutes, then the next night we only play 20. That’s what’s costing us hockey games.” Justin Williams told reporters after the Hartford Wolf Pack once again failed to put a full 60 minute effort on the ice in their 4-3 loss to the Manchester Monarchs in front of a special school day matinee at the Verizon Wireless Arena Wednesday afternoon. Justin Azevedo, Viatcheslav Voynov and Alec Martinez feasted on Wolf Pack mistakes as each put a goal and an assist on their scorecard. Meanwhile left winger Bud Holloway added two helpers for the Monarchs. With the win Manchester was able to leapfrog over the idle Springfield Falcons into second place and closed to within five points of the first place Portland Pirates. For the Wolf Pack, leading scorer Justin Williams continued his hot hand adding two goals to lead the Pack with ten. Kris Newbury, second on the team with thirteen points, supplied two assists. Pavel Valentenko had his first goal as a member of the Wolf Pack who at 4-10-2-2 find themselves at the bottom of the Atlantic Division. Unlike games past where the Wolf Pack dug themselves an early hole, they jumped out early on their hosts as just 28 ticks into the game. Kris Newbury won an offensive zone faceoff to starter Jeff Zatkoff’s right. The Wolf Pack center won the faceoff cleanly back to Pavel Valentenko behind him. Valentenko then slid to the left and uncorked a missile that hit Zatkoff (6-5-1, 22 saves) for a 1-0 lead. Things seemed to be going the Pack’s way when the Monarchs followed up the goal at 1:37 with David Kolomatis going to the box for tripping Devin DiDiomete. However the Wolf Pack power play, which finished the game at 1-of-5 (including a 1:34 of 5-on-3) were unable to do anything with their man-advantage. The strong performance by the Manchester penalty killers woke the Monarchs from their early game malaise. The Monarchs began to push the play at he Wolf Pack and they obliged by surrendering a goal at 6:08. With pressure in the offensive zone coming from the home team and shots were being unloaded on the Wolf Pack’s Chad Johnson (3-10-1, 28 saves), Jyri Niemi was unable to clear Jordan Nolan from the crease. After Holloway put the puck on net, Nolan, on the left side of the crease, was able to whack away at the puck and slid it under Chad Johnson to knot the score and put his first AHL goal on the books. Then things got kind of strange. With 3:42 remaining referee Mark Lemelin called Wolf Pack defenseman Jared Nightingale for an interference call. Nothing strange about that, except that the guy he supposedly “interfered” with, wasn’t even moving. Sixteen seconds later, Williams was moving the puck out of the Pack end and bobbling the puck with his head down. Corey Elkins put a HARD shoulder to shoulder hit on the right winger and sent him crashing hard into the boards right in front of the Pack bench. Newbury would have nothing to do with that as his teammate was down on the ice and promptly attacked Elkins and the two dropped their gloves. No penalty was called on the hit on Williams. Then 16 seconds later and with 2:46 to go, Tim Kennedy was whistled for a phantom cross-check on a guy who was already going down. The call gave Manchester a 1:27 5-on-3 power play. But then Brandon Kozun was whistled by Lemelin for his own mysterious boarding call creating a 4-on-3. 58-seconds later, Martinez wristed a shot from above the right circle and beat a screened Johnson over the stick side blocker to give the 2-1 lead to the Monarchs with 1:25 to go in the first period. With 40 seconds left in the period, Thomas Hickey took a high sticking call that gave the Wolf Pack a 17 second 5-on-3. Then, just ten seconds after the first 5-on-3 ended, Kozan went back to the box after slashing Williams creating another 1:33 of two-man advantage. The first period ended with the Pack down 2-1 and 12-9 in shots. The Wolf Pack were unable to do much of anything even with the two men up. Wade Redden hit a post 54-seconds into the man-up situation before Mats Zuccarello had the team’s best chance with a shot as the power play ended, but it went for naught. Chad Kolarik was stopped on a breakaway by a strong save by Zatkoff. Johnson matched the strong play when he made a strong save on Nolan’s bid for his second goal off a 2-on-1 od man rush. He also flashed the leather to deny Voynov on a second odd man rush. Evgeny Grachev made a strong move across the slot and was hooked by Richard Clune at 10:21 which sent the Wolf Pack to what would be their fifth and last power play of the game. It would also set up the Pack’s only power play goal of the game. Kennedy fed Williams in the left circle and the Regina, Saskatchewan native blasted a one-timer that Zatkoff couldn’t get to and knotted the score at two. But as has been their MO all season long, in a ying-yang kind of thing, it was Williams himself who overreacted after the ensuing faceoff and took a hooking call at 11:15 that would set up what would prove to be the game winner. Andrei Loktionov made a magnificent across the crease pass that found a streaking Voynov down from the right point backdoor past Valentenko who had turned his back on the play. The goal was Voyonov’s third of the season. The Monarchs were pouring shots on the net with the Pack applying virtually no pressure at all back the other way. If there’s one thing that constant offensive pressure does to a team that’s struggling like the Wolf Pack are is it leads to penalties. Valentenko complied by taking a high sticking call with 5:59 to go in the second. With just 18 seconds left on the man advantage, Oscar Moller fed Azevedo coming in off his spot off the left point and into the circle and wristed it through the legs of Jared Nightingale and over Johnson’s glove for his fifth of the season. In the final frame, Newbury set up Jeremy Williams from behind the net. The center found his winger free in the right circle. Williams then one timed it right past Zatkoff. Kelsey Tessier also got an assist on the goal. Finally, with the Wolf Pack pressing and time running out, with 40.2 left in the contest, Zuccarello fired a wide open shot from low in the right face off circle only to have Zatkoff come back to make a big save and send the team into their final four games with another loss. The team is currently on a 1-9-2-1 slide that could end their season in November if they don’t start putting some wins together. Bruce Berlet’s always fascinating reports can be found at HartfordWolfPack.com. What there is of a game report for the Monarchs is at UnionLeader.com. * This is the first and last road School Day game for the Wolf Pack who have played a couple of them at the XL Center. They play another one on February 9th in Toronto but will be the Connecticut Whale by then. * Of the ten games this team has lost already, nine of them were in one goal games the tenth really a one–goaler since there was an empty-netter in that one. * More “un-fun” news to report is that this team is averaging an AHL-low 2.06 goals per game. * Brodie Dupont left the game in the last minute after getting cut by a skate in a collision. The Wolf Pack visit are in Springfield at 7:30pm on Friday night with just 4 games to go till the rebranding. They then travel to Binghamton (7:05pm) on Saturday and Sunday its off to Hershey (5:00pm). The last game as the Wolf Pack is next Friday in Bridgeport (7:00). Friday Bob Crawford will have the late pregame at 7pm. To watch the game live, you can purchased it for $6.99 at AHL-live. For Ticket information call (860) 548-2000. Too far away or can’t make it? Listen live at WTIC.com or from your cell phone or computer visit www.twitter.com/howlingstoday for complete live in-game coverage. 1st Period-1, Hartford, Valentenko 1 (Newbury), 0:28. 2, Manchester, Nolan 1 (Holloway, Azevedo), 6:08. 3, Manchester, Martinez 5 (Voynov, Holloway), 18:35 (PP). Penalties-Kolomatis Mch (tripping), 1:37; Dupont Hfd (tripping), 11:02; Nightingale Hfd (interference), 16:42; Newbury Hfd (fighting), 16:58; Elkins Mch (fighting), 16:58; Kennedy Hfd (cross-checking), 17:14; Kozun Mch (boarding), 17:37; Hickey Mch (high-sticking), 19:20; Kozun Mch (slashing), 19:47. 2nd Period-4, Hartford, Williams 9 (Kennedy, Dupont), 10:42 (PP). 5, Manchester, Voynov 3 (Loktionov, Moller), 11:50 (PP). 6, Manchester, Azevedo 5 (Mullen, Martinez), 15:43 (PP). Penalties-Clune Mch (hooking), 10:21; Williams Hfd (hooking), 11:15; Valentenko Hfd (high-sticking), 14:01; Kolarik Hfd (roughing), 17:42; Kolomatis Mch (roughing), 17:42. 3rd Period-7, Hartford, Williams 10 (Newbury, Tessier), 5:10. Penalties-Zuccarello Hfd (slashing), 19:59. Shots on Goal-Hartford 9-7-9-25. Manchester 12-17-3-32. Power Play Opportunities-Hartford 1 / 5; Manchester 3 / 6. Goalies-Hartford, Johnson 3-10-1 (32 shots-28 saves). Manchester, Zatkoff 6-5-1 (25 shots-22 saves). Linesmen-Landon Bathe (80), Scott Whittemore (96).